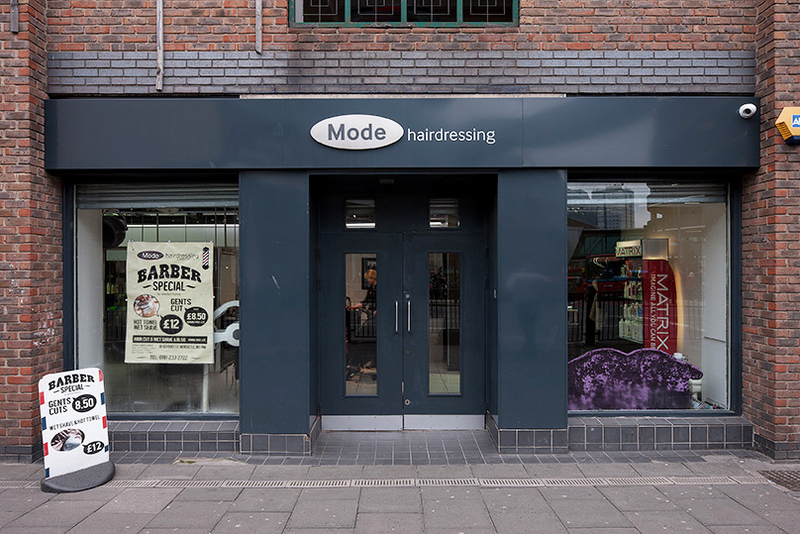 Mode Hairdressing Salon on Percy Street is has some of the North East’s most experienced hairstylists with the team coming from all different parts of the country. James from Vidal Sassoon and Diana are experienced in all aspects of hairdressing. Liana was trained in Germany and is also trained in all aspects of hairdressing. Bobby from Barry M Bobby Hair Design is skilled in all aspects of hairdressing, including hair up styles for special occasions and weddings. He is also a judge for the National Hairdressers Federation for the British Isles. Sab is experienced in barbering and wet shaves also. Gina our experienced beauty therapist is qualified in eyebrow tinting and shaping, eyelash tinting, manicures and pedicures, body massage and facials, waxing etc. Please apply within for pricelists and consultations.